Transform any sit-down desk into a sitting or stand-up desk with the DC450 Electronic Standing Desk Workstation. 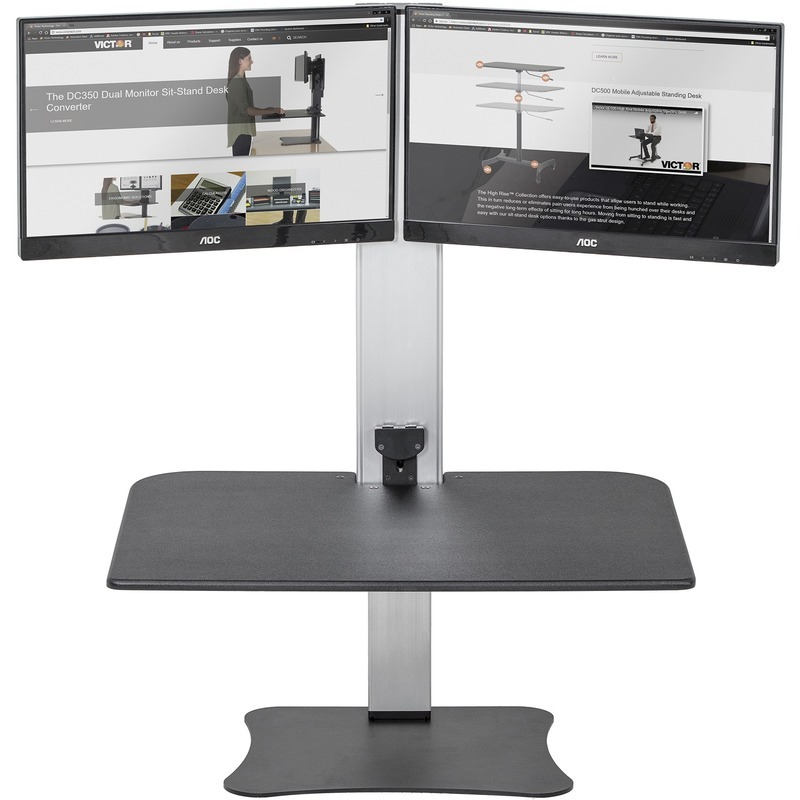 The 28" wide x 23" deep worksurface is raised up to 20" for ergonomic placement of monitor, keyboard, mouse, telephone and papers while standing. Electric motor design allows easy custom height adjustment with the push of a button. Monitor holder is also height-adjustable with a range of 12-1/2". To switch to sitting position, simply push a button and lower the surface down to desktop level. Safety Sensor stops movement when obstacles are detected under the desk. Sleek wood construction and a durable laminate coating provide years of use with a modern style. Sturdy steel base and aluminum tower are built to last. This standing desk converter rests on top of any desk or table. With no attachments to tie you down, it easily repositions. It holds two monitors up 27" wide and up to 12.5 lb. each. Standard VESA mounting holes are required. Maximum Screen Size Supported: 25"